What Wild Animals Can Hurt Your Pets? Some wild animals, such as coyotes, can in fact hurt or kill your pet cat or dog. It is very rare, however. Coyotes are becoming increasingly urban. But while they may scavange for pet food, they very rarely will attack or hurt your pet. However, if your pet is unmonitored outside in an area with coyotes, there's a chance they will kill your pet in order to eat it. Foxes on the other hand, are no threat. They are like shy little dogs, they mostly eat mice, and they won't hurt your pet. As for other animals that can harm or threaten your pets, such as bobcats or mountain lions or wolves or bears, they are so rare that I won't even discuss them here. They would fall under the category of freak occurance. Well, bears are fairly common in some areas, but they show little interest in pets. Really, coyotes are the only legit concern, and coyote attacks on pets are rare. Can Wild Animals Harm Your Pets? An interesting decision for many pet owners is whether they try and give their pets as much freedom as possible to explore, or whether they look to keep them safe inside the home, and only let them out when they are supervised. In many ways, this can be important in keeping your pets from getting into contact with wild animals, as there are a number of different threats that pets can be vulnerable to when they encounter wildlife. Whether it is aggression from the wild animals or a natural defense instinct, fighting can be one problem that can see your pets become harmed by wild animals, while diseases can cause different types of discomfort for your pets. The conflict that happens between pets and wild animals can happen in a variety of different ways, and can range from simply an over curious pet approaching the wrong animal and then being scratched or bitten, through to the animal coming into the back garden where the pet is kept. Animals such as foxes, raccoons, feral cats and coyotes can all be a significant threat for pets in these instances. If you are unfortunate enough to encounter this kind of fight as it happens, it is best not to try and get involved, although the natural instinct is to try and protect your pet. By getting involved in this way you can put yourself at risk of coming to harm, as wild animals will lash out at anything once they are in a fight, and this can transmit disease and will be a big health risk. If you do find that one of your pets has been scratched or bitten by a wild animal, it is important that you take prompt action to ensure that any risk of disease is minimized and that they can start to heal properly from the wound as soon as possible. The first step is to try and clean the wound as best as you can, depending on how close your pet will allow you to get, and if you can apply any antiseptic this can help. As this is often covered by hair, it is very important to get your dog to a veterinarian for it to be treated properly. In most cases, the vet will trim the hair around the wound, and irrigate the wounds to try and remove any bacteria, before using an antiseptic solution to clean the wounds. They will then take a fluid test to see what kind of infection, if any they can discover, and will often give your pet antibiotics to try and help them to heal fully. The biggest concern that many people will have when it comes to the diseases that can be transmitted from animal to animal will be rabies, and getting this tested early is something that your veterinarian will do. There are also plenty of other conditions to be aware of, and canine distemper is something that can be transmitted to many domestic pets from wild animals. Along with the diseases transmitted by bite or saliva, there are other conditions that can be transmitted through the feces, and as many domestic pets will naturally want to sniff out the scent of other animals in their territory, this can be a particular concern to bear in mind too. If you live in an area where it is common to find wild animals in the vicinity of your property, you may want to consider ensuring that water bowls and food bowls are kept indoors, while stores of pet food should also be in sealed containers. The reason for this is that wild animals may approach food and water bowls set out on the decking or in the yard for your pets, and this can lead to contamination from urine or feces, while in other situations rats and other rodents can contaminate pet food sacks that are left open. By protecting these food and drink sources, you can help to ensure your pets are not at risk of disease transmission from wild animals. Prevention is much better than treatment in this case, and if you can keep your pet in the yard or garden, and ensure they are supervised, this will help reduce the chances of them contracting a disease from any wild animals. When you are out walking the dog, or taking another pet out and about, keeping them under control and on a leash can also help reduce the chances of wild animal contact. While you can't keep your pets wrapped up in cotton wool, you can take the right steps to help keep your pets as safe as you can from the problems associated with wild animal contact. Go back to the main How to Get Rid of Wild Animals page for more information about animal trapping and information about What Wild Animals Can Hurt Your Pets - Wildlife Threat to Kill Pets Cats Dogs. Dead Animal in the Chimney? Dead Animal in the Wall? Do rodents nurse their young? 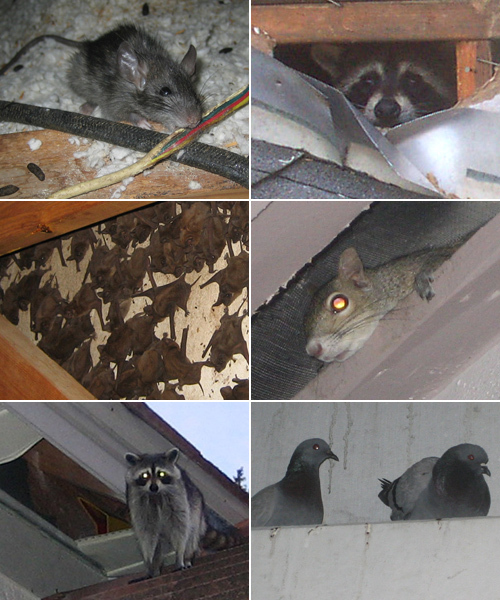 Will a pest control company remove wild animals?